Do you love pasta? Do you love pasta themed crafts and entertainment? Are you free on February 13? Then this is the event for you! 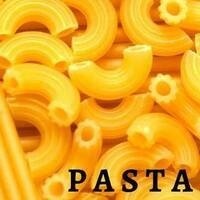 Come to the Globe Dining Hall on February 13th for a night of Pasta appreciation. FREE pasta for all students, pasta crafts, and pasta entertainment. Doors will open at 7:00 pm. and the event will start at 7:30 pm.